Do you have a strong collection of work and would like to have a solo show, do you have only a few pieces but know a few other artists who's work would compliment yours and like to have a group show? all skill levels welcome and appreciated, please contact Jessie at Thievesart@gmail.com. In your email include a digital photo of some of the work you would like to hang. Hang your work as soon as September! PRETTY BOY ENTERPRISES, INC. wants a CURRENTLY ENROLLED OR RECENTLY GRADUATED STUDENT OF FASHION DESIGN to be the fashion designer for PRETTY BOY'S own clothing line called "O.G.A." (Original Genetic Art), which has both contemporary and urban designs for men and women. The chosen FASHION DESIGNER must know how to sketch new designs, prepare spec sheets for manufacturers and assemble sample clothing pieces by hand and/or by machine. Compensation is available and open for negotiation. For IMMEDIATE CONSIDERATION: Submit a bio with LISTED FASHION EXPERIENCE (OF ANY KIND, REGARDLESS OF HOW LIMITED) and contact info. including mobile phone number to: "ROC@PRETTYBOYENTERPRISESINC.COM". This is a serious OPPORTUNITY for the serious FASHION DESIGNER! Dirty Hands Make and Grow is a combination use gallery opening on 80th and Stark. We are featuring ALL LOCAL artists and crafters. Visual Art- photographs, paintings, sculpture, metal art, mobiles, etc. Health and Beauty products- soap, lotion, salves, perfumes/sprays, etc. Paper art- handmade papers, journals, etc. We do have a clothing section, but are trying to steer away from screen printed shirts due to room. Please feel welcome to submit hand sewn, knit, crocheted, or felted goods. This list is not all inclusive, it is just meant to give you an idea of what we are looking for. Most artists will be handled on a consignment basis with a monthly payout. If you are interested in contacting us please send a picture or two of your work along with some information about yourself and your pricing to dirtyhandsmakeandgrow@gmail.com. If you are unable to access a computer or camera for any reason please contact us at 503*877*DIRT and we can arrange a meeting at the store with you. Looking for someone to help us turn a few yards of recycled vinyl into messenger and/or grocery bags. This would be a great "free time" gig for someone with sewing chops. Looking for basic yet stylish design. Must have your own sewing equipment capable of handling recycled vinyl. Pay will be per bag, based on a fair/agreed upon rate. New store opened in Cedar that sells all handmade arts/crafts, New store opened in Cedar that sells all handmade arts/crafts, furniture, home decor, etc. We are looking for someone to work 8 hrs a week in exchange for free space and also free admission to all art and crafts classes here. Call (435) 327-0548 for an interview. We are looking for an Intern with the strong potential for hire. Will assist in sales through communicating with buyers, opening and managing new accounts, showroom operations, writing/following up on orders, and maintaining client base. Must be driven, ready to sale, and a self starter. Please, have a since of fashion and style. If hired, you will work market 4 times/year with the opportunity to attend the Magic Trade show in Las Vegas. Located at the World Trade Center. Preferably available: Monday, Wednesday, and Thursday. 12-20 hrs. /week. Won't always be in the showroom. Some travel is required. Transportation is a must. General Description: Gift Closet’s Production Manager (PM) is responsible for the smooth operation of the office and the production and supply of all products. This involves keeping sufficient supply of products and raw materials necessary to fill orders, creating product, and supplying show and rep kits. The PM is also responsible for the accurate and timely delivery of our product to our customers. The Production Manager is in charge of the design and conceptualization of new product and ventures, as well as streamlining the assembly process. This involves the design, pricing, and sourcing of all necessary items for its creation. The PM also serves as a receptionist to Gift Closet and is the first contact with our vendors, customers, and contractors who call or stop by. The PM is in charge of the office and is responsible for maintaining an excellent level of organization and cleanliness of the studio and managing production studio staff. Call all Artists! Submissions Wanted! 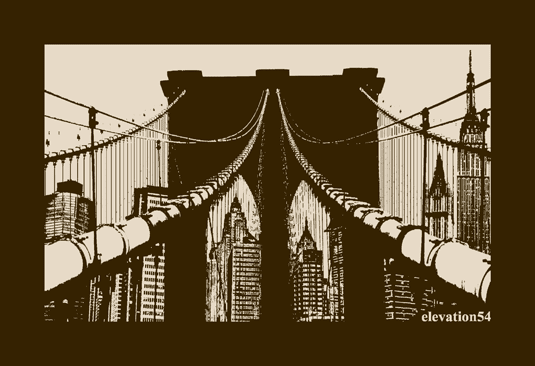 "Elevation Clothing silkscreens images from artists all over the world onto 100% combed cotton T-shirts, and is now looking for artists of all kinds to submit designs for print. The design MUST be depicting a city or town in some fashion. How this is done is completely up to the artist (photoshop, hand drawing, painting, photography, etc.). You can, but don't have to, include the city/town name. Elevation Clothing will pay for all set-up, printing, web and shipping costs. The artist decides how much to sell their design for, makes the profit and takes no financial risk. Example: Artist submits a one color design to Elevation Clothing. Artist decides to sell their shirt for $22.00.Elevation Clothing charges $11.00 plus $1.00 for each ink color to compensate production costs. For each shirt sold in this example artist would make a profit of $10.00. All art submitted is forever the property of the artist, NOT Elevation Clothing." "Busy Cafe in the heart of Belmont needs a artist to showcase there art at Bare bones cafe/bar and maybe hold an art show in July. Please reply with questions and or samples. Kuzzo13@gmail.com or 503-804-6208"
"Local artists wanted to display their work for the Frankford Arts Corridor 1st Friday Celebrations. Currently looking to book two artists to share space for the September 1st Friday (September 3, 2010) and the October 1st Friday (October 1, 2010). Artist must be responsible, and willing to have all art work on display Tuesday 6pm, the week of the show. Art work will remain on display until the Friday before the week of the next show. We request that the artists provide wine and hors d'oeuvres. Artists to collaborate and provide flyers promoting the event three weeks in advance. No fees are required, no commission being paid to host. 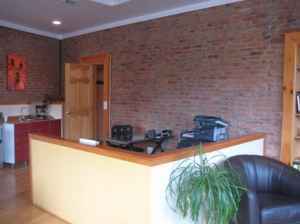 Our offices are trendy and offer the artists about 800 square feet for displays. Send me a link providing pictures of your current work, along with a resume. We are a local real estate company working to promote local artists along with our business. Any questions call Nina Kelley 215.291.2891"
This post has special meaning for me due to my Dad currently being the hospital for Leukemia. I hope for everyone to participate in this fundraiser! I will be... together with my new sewing machine!! Whoo hoo! Welcome Compassionate Crafters! We need your help to bag cancer. Sign up today to craft reusable grocery bags to benefit a Leukemia and Lymphoma Society Team In Training runner. Compassionate Crafters are invited to join in sewing reusable grocery bags during a virtual 26-day craft-a-thon starting Monday, July 19, 2010, ending Saturday, August 14. Sewers may choose their own reusable grocery bag pattern, or one will be provided to you. Since this project is environmentally friendly, sewers are encouraged to use recycled fabric such as old sheets, curtains, scrap fabric, etc. Bags may be left plain or they may be embellished with paint, buttons, etc. The Craft-a-Thon is 26 days -- one day for each mile of the marathon that Team in Training will race to save lives. See benefit information below to learn more. Local Wisconsin crafters are invited to the sew-in events fellow crafters are hosting throughout the Craft-a-Thon. If you are not a local crafter, you are welcome to host your own sew-in with friends, family or neighbors. At the end of the Craft-a-Thon, sewers have two options. They may mail completed bags to Craft-a-Thon organizers to be sold at end-of-year farmers markets, Labor Day Festivals, and other Wisconsin local craft fairs. Just a reminder that Team In Training is a nonprofit organization, so your postage is tax deductible. Or, they may sell the bags themselves to friends and neighbors and mail the proceed check to Craft-a-Thon organizers. Again, Team in Training is a nonprofit organization, so your donations are tax deductible. You will not be paid or reimbursed for your costs in sewing or mailing bags. However, you will receive a tax deduction receipt for the resale price of $5 - 10 per bag and any mailing costs you my incur. Email us at compassionatecrafters@yahoo.com for more information on how to join the Compassionate Craft-a-Thon to Bag Cancer! This Craft-a-Thon to bag cancer is organized by Janel DeZarn, to benefit her run with Team in Training. Janel is training to participate in the Nike Women's Marathon in San Francisco, CA, as a member of The Leukemia & Lymphoma Society's (LLS) Team In Training. 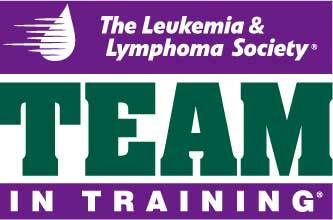 Team In Training is the premier fundraiser to help stop leukemia, lymphoma, Hodgkin lymphoma and myeloma from taking more lives. Janel is completing this event in honor of all individuals who are battling blood cancers. These people are the real heroes on our team, and we need your support to cross the ultimate finish line - a cure! Janel's true inspiration to train for and run a marathon is her best friend, Jennifer. Jen was diagnosed 16 months ago with stage 4 breast cancer at the age of 36. Her newborn and 2 year-old daughters and loving family gave her so much hope and reason to fight. At the time of her diagnoses, Janel was so out of shape she couldn't walk a mile. Jen continually encouraged Janel to get and stay healthy for two reasons. First, to take care of her body so that a disease like cancer may never affect her. Second, to ensure that Janel will always be around to watch Jen's girls grow in the case that Jen didn't survive. With that, Janel took up running. Jen wanted her to run a marathon, but Janel decided to start out with a half-marathon. Jen was her biggest supporter as Janel trained for months to run a 13.1 mile half marathon. She was so proud! Sadly, Janel never got to run the race she trained for. At the time when she was supposed to be crossing the finish line, she was giving Jen's eulogy at her funeral. Janel knows that Jen wants her to keep running with the same intensity and tenacity that Jen showed while battling cancer. So, she has joined Team In Training to run a full marathon just as Jen wanted. While breast cancer and blood cancers such as lymphoma and leukemia are two very different cancers, blood cancer researchers are making amazing strides towards treatments and a cure. When one field of study makes astonishing strides, all cancer research fields benefit. **Janel is still looking for a crafter to sign off on using their tutorial/pattern. Visit my Etsy shop for all the goods!